So I spent a few hours plugging and chugging different meal plans into our $15,000 software at University of Texas because I hate MyFitnessPal. While I was down this rabbit hole, I came up with this example of why vitamin B12, vitamin D, and a quality multi are so important even when we live by the FOOD FIRST mentality. I think everyone would admit that this is a really healthy diet for one 185 pound male on one off day. This is fantastic and would be my ideal off day if I was richer and could afford guzzling organic berries. This template is 100% real organic food and would be hard for anyone except vegans to argue against. Interestingly, as this day does not have salmon or another cold water fish, it is about 5:1 Omega-6 to Omega-3s. This would likely get into the ideal range (2:1 or 1:1) if you ate salmon 3 to 4 times a week, but if you don’t like fish you are going to need a super high quality liquid fish oil as well. …but anyways, wammmm. Check out the breakdown. Ladies and Gents, your diet isn’t that good. Mine isn’t that good most of the time and I do this for a living. I see low vitamin B12, vitamin D, and zinc in damn near everyone who comes in for a consult. Everyone. Buy yourself a high quality vitamin D (4,000-8,000 IUs), B12 (amount and type can be dependent on your genetic makeup), and a multi and keep it in forever. Your body doesn’t ever not need vitamins and minerals. Ever. 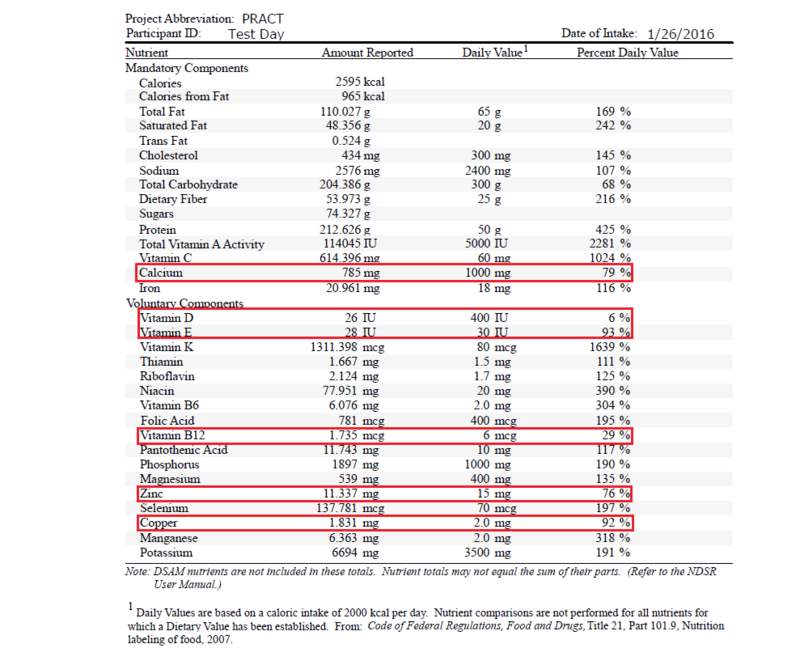 Myself and other functional medicine practitioners use medical foods from very, very reputable supplement companies. “Medical Foods” is a horrible name, but it means what is in the bottle is actually in the bottle, and the companies guarantee purity and potency. These “Medical Foods” can only be distributed to folks with terminal degrees in nutrition or another health related field. For Vitamin D – I like Apex’s Ultra D 5000 or Vitamin D Supreme. For B12 – I like Apex’s B12 Max and Designs For Health B12 Lozenges. For Multis – I like Designs For Health Complete Multi. Please don’t order any supplements off Amazon – it is soooooo sketchy. If you are going to go through with this and spend your hard earned dollars, make sure they are legit and order them from the company itself or you can ask me and I will drop ship them to you. However, I would much rather you work with a functional medicine practitioner to dig deeper and learn more about yourself other than the fact your diet likely isn’t meeting your vitamin and mineral needs.